"In order to Expand our Consciousness and Spiritually Evolve, we have to know Spiritual Truths and the Universal Laws of Life that govern our Universe. These are found in the Ascended Master Teachings through the Saint Germain books and the Radiant Rose Academy"
I am Jesus, here to take you on a journey of your soul. You will be traveling along with me as we embark on this excursion. You won't need to take anything along, except your thoughts and feelings, for all else will be left behind. We will be taking a long broad road that will lead out to the nethermost reaches of time and space. 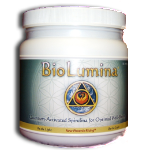 This road is filled with both obstacles and enlightenment for your growth and evolvement. As we travel along this road, we find many crevices along the path, and many smooth areas. With our wisdom we avoid the pitfalls. We travel through them as if they are glass. We travel around them as we circumnavigate our way around through life, using all we've learned to guide us. There are many obstacles set in our way, as this is the course. However, in the game we call life, the object is to use your intuition to avoid them. The object is to excel in this game and to return home unscathed. This game will test your ingenuity and your strength. You can only gain from it. You can only win. For all of life's seemingly obstacles are merely illusions set in your path to test your strength and force you to grow and evolve on this plane. You don't walk this path alone. Your guides walk with you and whisper to you from above – always giving you directions and encouragement – lest you lose your way. So walk with us in laughter and love, for all is merriment and all is life. The road never ends, it only winds and turns and goes on forever. So wherever you find yourself on the road, just smile, and know that we are beside you on your return home to God. You will all find your way, for there is only one way – although the turns are many. Know that I travel with you always as a seasoned traveler who never wearies of the dust, nor complains of the hardships. By focusing on the Light all falls way, and your path becomes clear of debris. Thank you for making this trip with me. I have dedicated the last 30 years of my life to bring through transmissions directly from the Inner Earth Realms and Nature Kingdoms, to help us understand the Inter-Connectiveness of all Life on Earth - which is a Key to our Ascension. 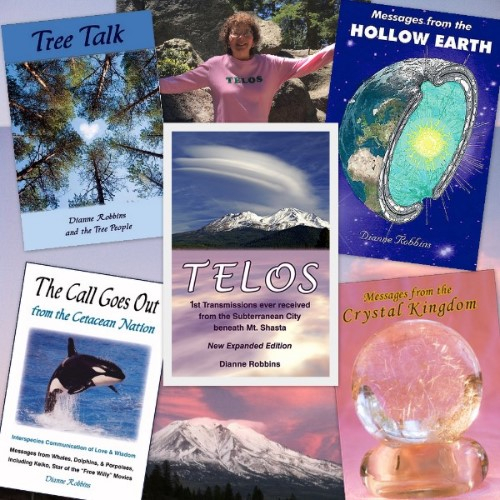 If you are in, or plan to be in the Mount Shasta area, and would like to meet me, I am holding individual and group Book Signings. Copyright © 2016 TELOS Connection, All rights reserved.